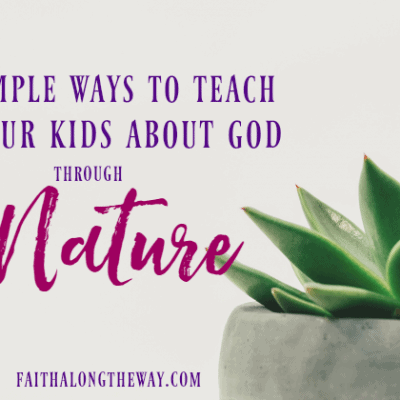 Join our community for practical lifestyle tips to help you honor God in family, health, and home. 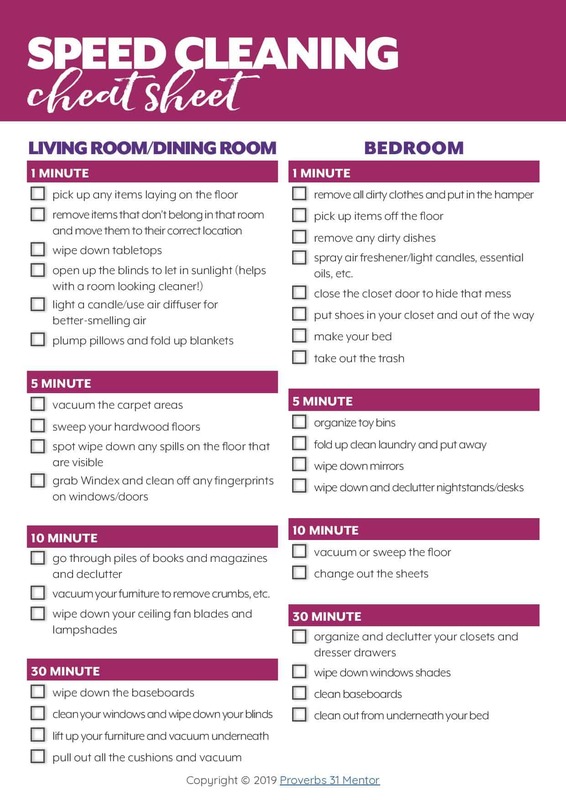 Score these free cheat sheets as our welcome gift to you! Yes, send my cheat sheets! I know the dirty little secret that you hide from the outside world. “Look at this clutter! There is stuff everywhere and it’s taking over our lives”. defeated and unable to conquer the clutter for good. stressed because of the mess and that you have failed your family in some way. envious as you visit the homes of friends who seem to have a natural gift for homemaking. Regardless of your feelings of failure, your level of organization and neatness doesn’t define who you are. Your worth as woman isn’t tied into how Pinterest-worthy your home is or how many times a week you scrub your bathroom floor. God has gifted you with your own set of talents and your own unique skill set to be used for His Kingdom and glory. You have a role in His plan that only you can fill, even if your homemaking skills are lacking. Don’t let your weak areas, even homemaking, define your purpose or paralyze you with fear to not try. Don’t miss the calling God has placed on your heart just because you struggle to keep your home neat. And when you feel like a failed homemaker.. Remember, the Father has gifted you with the self-control and discipline you need to make changes and to create permanent new habits. The best part is, God is with you every step of your journey as you bravely try to conquer the mess with His strength. Pray for help in your feelings of failure and lay your anxiety and feelings of shame at His feet, trusting that He can restore this area of your life. Let go of past mistakes and of times where you have let your home get the best of you. Give yourself grace for your homemaking shortcomings of the past, and move on. 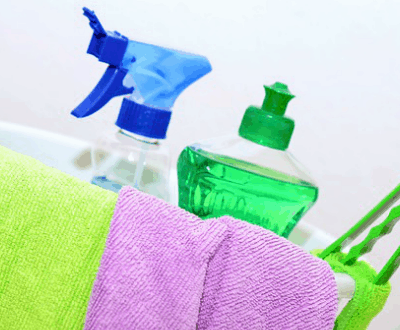 You are NOT a slave to clutter and mess! And friend, can I let you in on a little secret? 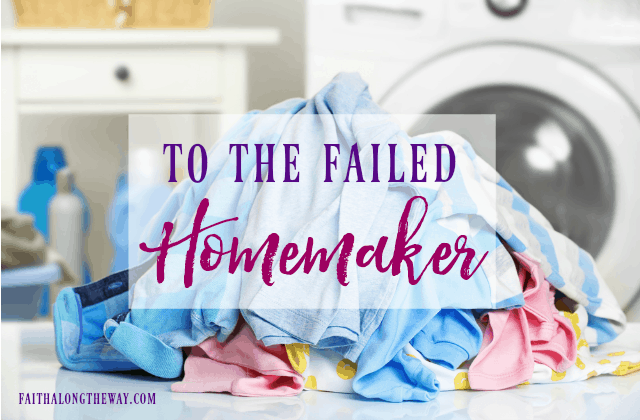 I’m a “failed” homemaker, too. I grew up surrounded my super neat mother and grandmother, yet somewhere along the way I didn’t inherit the “neat gene”. I watched them effortlessly keep their homes sparkling clean and bless their family with perfectly folded laundry. Meanwhile I struggle to put away laundry and to find socks that match. God’s Word reminds us that our true identity and self-worth comes from Him alone. 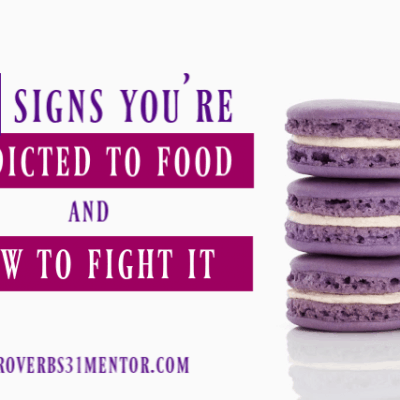 Your identify is not in folded piles of clothes or perfectly organized pantries and closets. YOU are God’s child, His beloved. He wants YOU to find freedom in your identity in Him alone. According to God, your name is not failure, messy, scattered, and cluttered. When you have a relationship with Him, your name is holy, pure, and spotless, thanks to His amazing grace. That grace perfectly covers all areas where we have done less than our best, including the times we have “failed” as a homemaker. Together, let us lay us down our shortcomings at the feet of Jesus. May we trust Him for the grace to begin tackling our cluttered homes and hearts again. P.S. 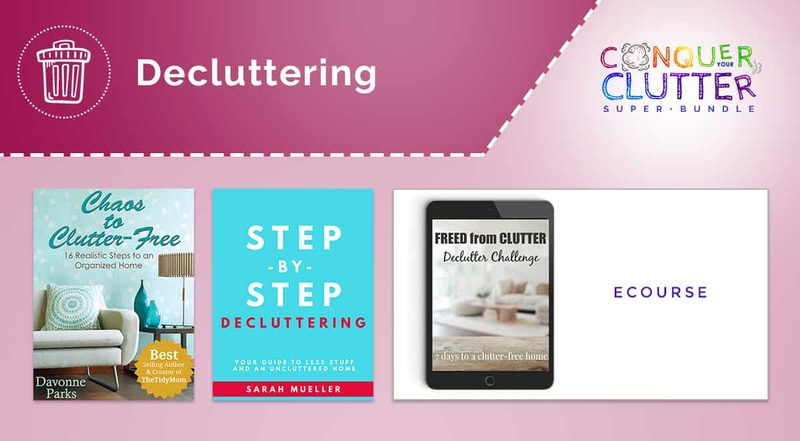 If you’re ready to thrive as a failed homemaker, the Conquer Your Clutter Bundle can help! 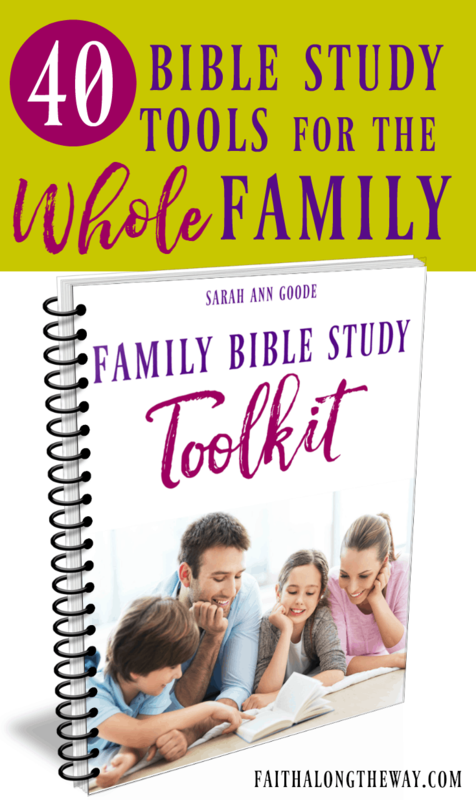 It’s filled with resources that the struggling homemaker needs to take back her house and feel confident in her homemaking skills. OH what an encouragement. 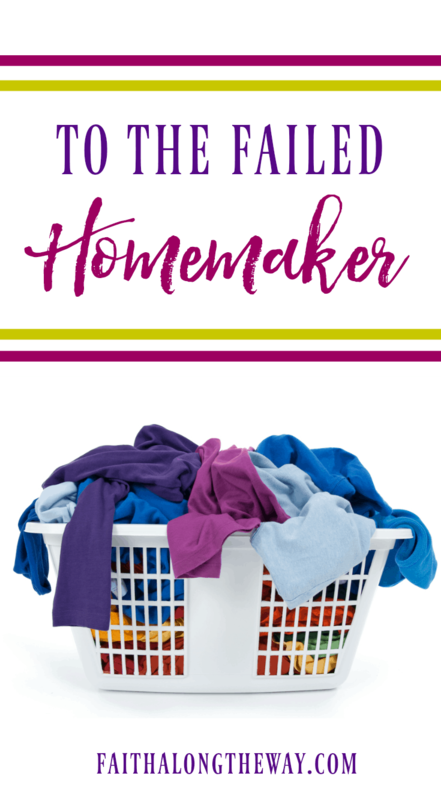 I struggle with feeling worthy when it comes to the same household tasks as I think many homemakers do. This is such an important reminder and I am inspired and ready to tackle my dishes with a smile! Sharing on my social media sites too! Yes, and I think that blogging has only increased my frustration with housework. It’s nice to know that there are things we can do to make the house a little more organized. Oh, yes! Blogging has definitely not helped my homemaking skills! Oh my sweet friend, this made me smile. It has been too long since I visited you here today, but I am oh so glad I did. This is an area where I have learned to LET go a lot and to just be ok with what I can do. The maintenance has always been hard for me to keep up but thankfully I am learning the power of living in grace in all those places. This sounds like an amazing series. 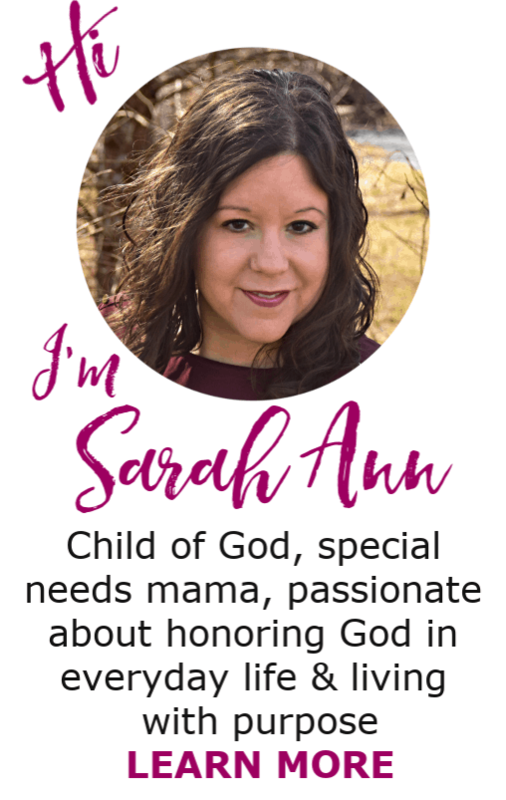 Oh, I have to admit feeling choked up by this post which spoke my exact defeated self-talk about the clutter I can’t seem to contain. I’m from a line of very “neat” women but often feel I’m just a scatter-brain who strives for neatness (because I inherited the not being able to relax until things look clean gene) yet I’m not naturally organized. I’m looking forward to your series! I am the same way, Valerie! Thank you for your honesty and being able to relate. It’s a blessing to know I’, not alone in this! I completely agree! There are times I leave a sink full of dishes to play with the kids or to spend time with the Hubs. For me, it’s a fine line of taking time to be with them and using that as an excuse to let things go. I’m learning that diligence up front leaves me with more time to enjoy my family and I enjoy it more in a clean environment. BUT, I am SUCH a work in progress and you should currently see the state of my desk…. GRACE, GRACE, AND MORE GRACE! It’s always nice to meet another who struggles in this area as well! Blessings to you on your homemaking journey! The Ultimate Fall Printable Pack!